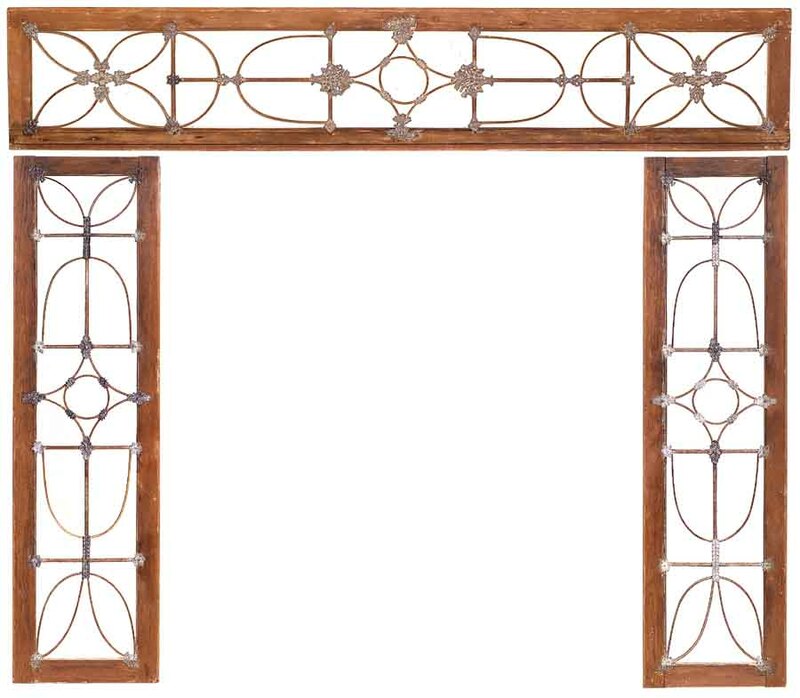 To a fine and rare three piece set of Transom glazed windows. The two side members as well as the top retain most of the original bent wood astragals which are further mounted with cast lead patera. The set has been carefully hand cleaned of all old paint buildup, small repairs have been made where necessary and they have been reglazed with period glass. The frames are constructed of white pine and are neatly mortised. Measurements: Side lights width: 14 1/8" by height: 52 3/8" Top Light width: 76 3/4" by height 14"